World-renowned two-time Grammy-nominated recording engineer Courtney Taylor is also an extraordinary producer and FOH specialist. 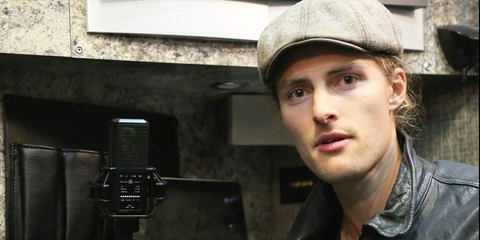 Taylor has worked with the legendary reggae bands Third World, Steel Pulse, Stephen Marley, Inner Circle, and SOJA, as well as with US-based artists Pharrell Williams, N.E.R.D, Robin Thicke, A$AP Rocky, Sevendust, Common, Cris Cab, Far East Movement, Brian McKnight, Grover Washington Jr., Tinie Tempah, Danny Brown, various jazz acts, and many more. 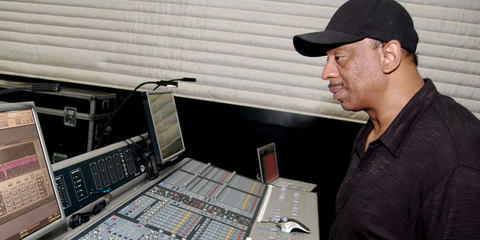 His talent as a FOH engineer has led to engagements at major festivals and projects worldwide such as the Ultra Music Festival (US, Asia, and Europe), the China-based Budweiser Storm Fest, the dance music festival Spectrum in Korea, MTV Evolution, MTV World Stage, BET events, and recording and mixing the National Panpipe Orchestra of the Solomon Islands. Courtney Taylor attended the Berklee College of Music, where he studied music production and sound engineering. 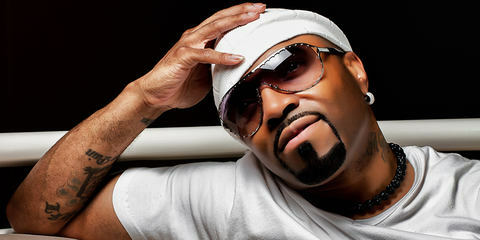 His love of music and sound became apparent at a young age while growing up on the island of Jamaica, where he was always surrounded by music. At that stage of his life, Courtney – already certain that he wanted a career in music –became a DJ. 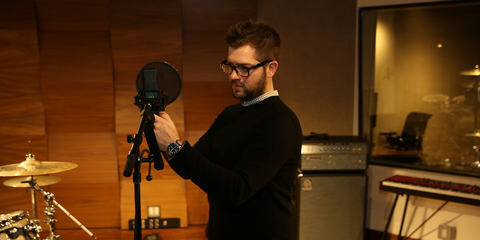 He began to develop a passion for making things sound better. Listening to BBC radio (and wondering how they got the music to sound as it did) opened him up to listening differently and incorporating the warmth and punch of European sound in a way that was pleasing to the ears. Moving to the island of St. Lucia, where he went to work as the sound engineer at the world-renowned Sandals Resort, gave Courtney the chance to hone his craft while affording him access to new gear and opportunities that he’d never before been able to access. A lot of the local bands that performed at the resort would ask Courtney to mix for them. 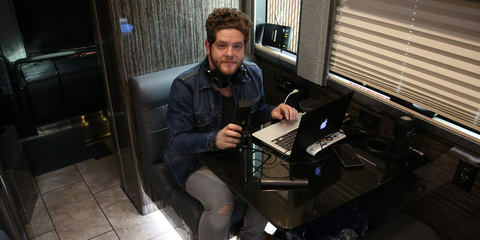 He would use such opportunities to practice and listen, learning the nuances of the lead voice, guitars, bass, percussion, background vocals, horns, and strings, and continuing to diligently work on improving as mixing engineer. 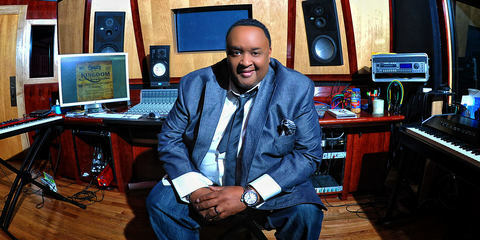 That developed into working at local festivals and then for BET at the St. Lucia Jazz Festival. Then, while touring as a backline tech with the band Third World, Courtney was asked to fill in on a gig to which the FOH engineer didn't make it. The band, shocked at how good that gig sounded, promptly made Courtney their FOH engineer – and for 10 years, he was the only crew member to handle their backline, monitors, and FOH mix. Courtney Taylor: "I absolutely love the LCT 550s on my drum kit. 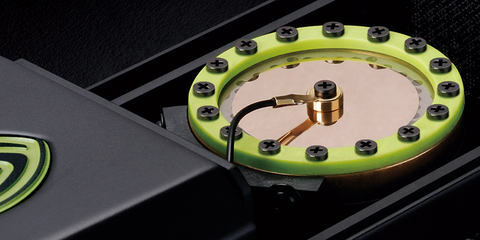 They capture the tones of the drums beautifully – in a way that other large-diaphragm condensers don’t. 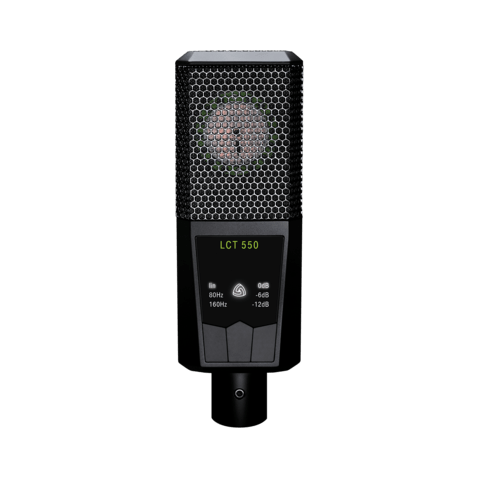 The LCT 240 has replaced my AKG 451 on hi-hats, and it gives the hi-hats a nice, smooth, open sound that’s music to my ears. 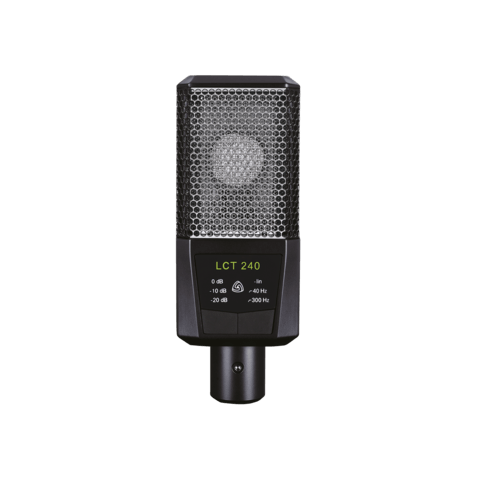 The LCT 240 is my go-to hi-hat mic for any musical genre. For hip hop, I use my MTP 440 DM on snare top, with the LCT 240 on the bottom. The combination of these two lets the snare drum cut through in the mix and provides true separation. Listening to the drums in the mix, they sound so natural – not hyped or scooped. In my world, NATURAL IS A GOOD THING. 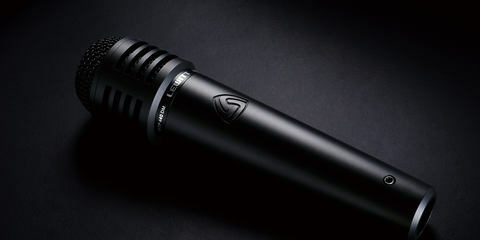 The DTP 640 REX kick drum mic is, in a word, awesome. 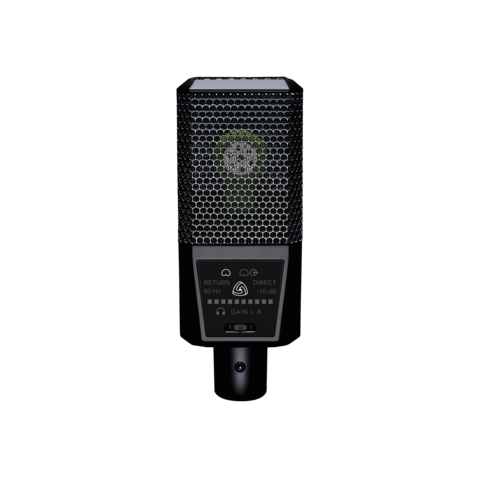 This dual-element microphone has opened up new possibilities for me, and it gives me the low thump and the attack that I’m looking for in a kick drum mic. I also use the DTP 640 REX on 18” floor toms. Once a room is well tuned and my drums are also well tuned, it’s like thunder! I must just be able to push up my fader and hear the true characteristics and tone of the drums without boosting EQs to compensate. LEWITT microphones allow me to achieve that. What I look for in a microphone is a natural sound with transparency, no coloration, and the ability to capture all the nuances I’m looking for. 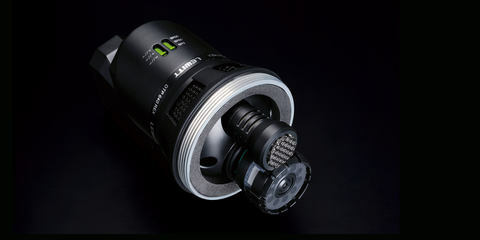 That’s why I choose Lewitt microphones – because they get the job done." On the production side, no matter whether in the studio or on tour, there are times where I want to capture ambient or new sounds from the environment. It could be leaves rustling, or water swirling in a brook, or a door slamming around me – or I want to record my live shows. And for all that, I choose the DGT 450 USB microphone. I always have the DGT 450 in my bag no matter where I go, ’cause I never know when inspirations will hit me, so it’s always kept at the ready. When I’m outdoors, I just plug it into my iPhone. If I’m in a hotel room where I need to do voice overdubs, etc., I plug it into my laptop. The sound that the DGT 450 captures is amazing: what you hear is what you get on the recording. I’ve done projects with A$AP Rocky, Brian McKnight, Cris Cab, Common, Far East Movement, and SOJA using LEWITT microphones. 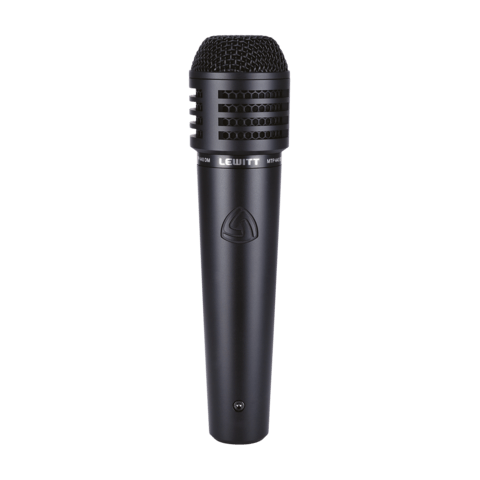 When performing live, you only have one chance to get it right, so having microphones that help prevent problems are essential – and that means that, for me, there’s no choice but LEWITT microphones. I call my LEWITT mics “The Fatso of all microphones” – fat, warm, and transparent. I don’t leave home without them."